Description: Breaking new ground in the field of Sound Studies, this book provides an in-depth study of the culture and physicality of dancehall reggae music. The reggae sound system has exerted a major influence on music and popular culture. Every night, on the streets of inner city Kingston, Jamaica, Dancehall sessions stage a visceral, immersive and immensely pleasurable experience of sonic dominance for the participating crowd. 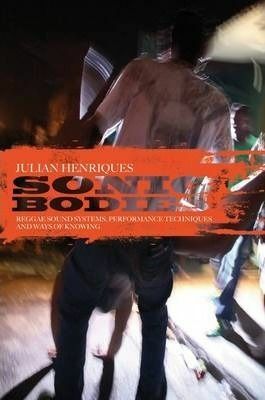 "Sonic Bodies" concentrates on the skilled performance of the crewmembers responsible for this signature of Jamaican music: the audio engineers designing, building and fine-tuning the hugely powerful "set" of equipment; the selectors choosing the music tracks played; and, MCs (DJs) on the mic hyping up the crowd. Julian Henriques proposes that these dancehall "vibes" are taken literally as the periodic movement of vibrations, and offers an analysis of how a sound system operates - not only at auditory, but also at corporeal and sociocultural frequencies. "Sonic Bodies" formulates a fascinating auditory critique of visual dominance and the dualities inherent in ideas of image, text or discourse.